Come out and join the Connecticut Valley for a Driving School at Lime Rock Park on Saturday, April 13, 2019! 30 Years of Lime Rock Driving Schools - BMW CCA Connecticut Valley Chapter! Saturday, April 13, 2019. This year we are again, sharing the track with the Lime Rock Club. All run groups will get four, 20 minute track sessions, plus great classrooms too! All drivers are placed in a run group based upon their track experience and Instructor recommendation. Registration is limited to 50 students! Cost is $325.00 per driver. Registration closes when the school is full or April 7th, whichever comes first. No money will be refunded for this school. However, if we are able to fill your place with another student, you will receive a credit applicable for a future event. That credit will be valid up to the end of the next year. Introducing BMW CCA Connecticut Valley’s Bring Somebody New to HPDE Program for our High Performance Driver Education schools (HPDE). Both you and your referral (somebody new to HPDE) will receive $50 off your registration for a school if you both attend the same school. Here are the details of our offer (no lawyer small print here). When a BMW CCA HPDE veteran refers a member that has never participated in one of our HPDE schools, the veteran member will earn a $50 credit towards a future HPDE school (must be used within two years). The first time HPDE driver will receive a $50 discount off their first school. It’s a win/win for both members! How does it work? When the veteran member registers for the school on www.motorsportsreg.com, enter the name of the referral in the space provided. When the first time driver registers the initial registration will show the full school price. But, he/she will receive a $50 discount when the registration is processed and the payment method used will be charged the discounted rate. 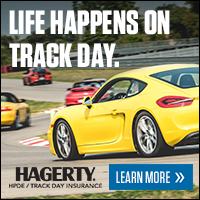 For the veteran member, a $50 credit will be issued to his/her account after the HPDE school. That $50 credit towards a future school will be valid through December 31, of the following year. And veteran drivers, yes, the credits are cumulative up to the value of one full HPDE school. Students will be placed on a wait list once their class (run group) is full. A Congratulations letter and detailed event information will be emailed to you upon your acceptance into this school. Please read through all of the related procedures and materials on our website first!